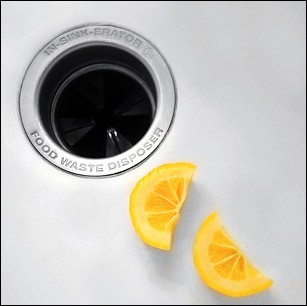 Your garbage disposal can be a handy tool in your kitchen. It can help eliminate unwanted food in an easy fashion. However, when your garbage disposal starts to emit an unpleasant odor it can be bothersome. Here are a few tips on keeping your garbage disposal operational, from your friends at Circle B Mechanical. 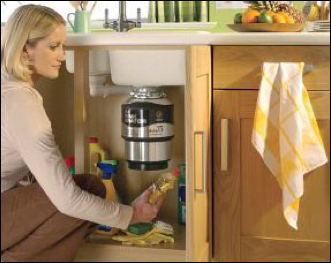 The biggest problem most people have with their disposal is the smell and what to do about it. First, make sure it is free from food debris by running the faucet with the disposal running. Then, try adding ¼ cup of regular baking soda and let sit for several hours before flushing with water. This absorbs the odors and acts as a cleansing agent and a polisher to the blades. Baking soda is safe to use in septic systems as well. It will lift away stuck on food and leave a clean smell behind. If you have a really tough case add one sliced up lemon. The acidity of the lemon juice will help remove leftover stuck on food and the lemon peel will freshen your garbage disposal. You also want to be sure not to put large bones or meat down the drain—this is the main cause of rotting food build-up in garbage disposals. If this is the case, you should use a scrub brush and clean the inside of the disposal—especially cleaning under the rubber gasket regularly. You could also try white vinegar or hydrogen peroxide as a rinsing agent after using your garbage disposal. If the smell is persistent or smells of raw sewage, check your drainpipe. You want to make sure that your garbage disposal is draining into a trap, (a U bend) under the sink or floor. A straight pipe has no way of stopping the smell from rising into your home. Sharpening your garbage disposal is easy. 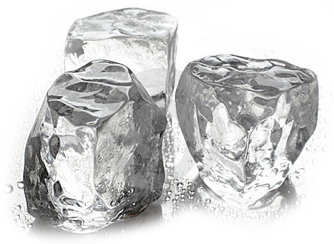 Simply put several ice cubes down into your disposal and turn on cold water while running the motor. By keeping your blades sharp you decrease the chances for food to build you inside of your disposal, and eliminate most odors. This entry was posted in Garbage Disposal and tagged Clogged Drains. Bookmark the permalink.